In a world as connected as ours, where we instantly know what happens in the opposite corner of the globe, Model UN is also evolving. PIMUN, thanks to MUNAPEST and WEBMUN, conceived “INTERCONNECTIVITY”, as a different way to see Model UN. In interconnectivity , any event, decision or voting occurring in one committee has an impact on all other. Representatives of Member States work in close cooperation with their co-delegates in other committees in order to defend their national interests in all of them. After two days of debate inside committees, with lobbying occurring from one committee to the other, the very last session is an extraordinary general assembly, where all the representative meet to discuss a final resolution. 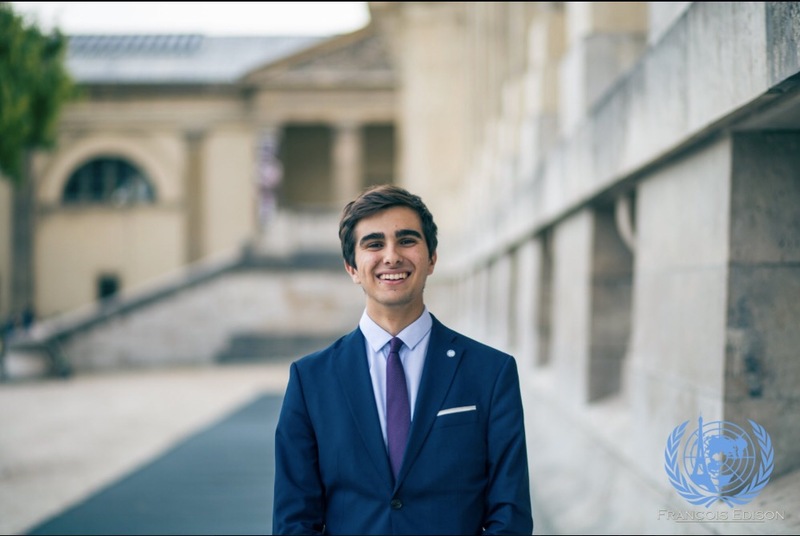 With the topic: “ADAPTING TRANSBOUNDARY WATER GOVERNANCE TO RISING GLOBAL ENVIRONMENTAL CHALLENGES”, Interconnectivity in this 2019 edition of PIMUN aims to create a complete multilateral agreement on the key areas of international water policy: security, economics and urbanization, giving an answer to the issues that surround equity, human rights and private intervention. Each committee will discuss one are surrounding the boarder general topic on transboundary water governance. Delegation will not only share the same interests but also the same budget. Each and every policy, infrastructure or project proposed during committee needs to have a budget, approved by the whole delegation. Each delegate in THE WORLD BANK GROUP, apart from discussing their own topic, will be in charge of making and validating their national budgets so that all the proposals remain possible and realistic. 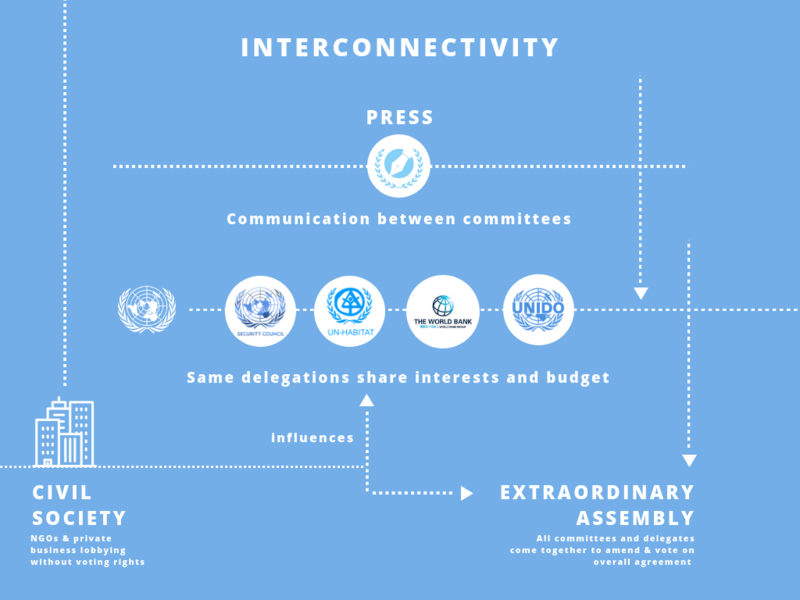 PRESS has therefore a key role to play, communicating between committees what is happening in each debate. They will represent press organizations from various countries like CNN, Al Jazeera or TVGlobo, and develop a network of communication. All delegates will need to know what is happening in all committees; resolutions, agreements and blocs should be built according to the overall situation. Delegates will be part of country delegations that will have representatives in at least three of the proposed international committees, they will be composed of 3 or 4 university students. Press delegates will not be part of a delegation. Due to the importance of civil society in the debate on water governance, there also will be a special lobbying group comprised of private companies and NGOs with their own budgets, influence and interests with rights to participate in committee sessions. They will be able to debate, lobby and participate without voting rights. These will be stakeholders on the water or energy industry.